Nearly 50 years after becoming the second man to walk on the moon, Buzz Aldrin is undertaking a more earthly mission: fighting guardianship proceedings to stay in control of his own affairs. In May, two of Aldrin’s three children asked a Florida court to grant them guardianship over their father so they can manage his financial affairs and make other decisions for him. Andrew Aldrin, 60, and Janice Aldrin, 51, claim that their 88-year-old father, now a Satellite Beach resident, has Alzheimer’s Disease and is being manipulated by others and spending money at an alarming rate. The Apollo 11 pilot is having none of it. On June 7 the he filed a lawsuit against his children and his business manager, Christina Korp. “Nobody is going to come close to thinking I should be under a guardianship,” he told The Wall Street Journal. Aldrin requested an evaluation from James Spar, a geriatric psychiatrist at UCLA. According to Spar, Aldrin scored normal to superior on tests of cognitive ability. Spar concluded that Aldrin is "...substantially able to manage his finances and resist fraud and undue influence." Aldrin's lawsuit is multifaceted. It accuses his son, daughter and business manager with elder exploitation and misuse of funds. He claims that Andrew, who is involved with his businesses and nonprofit ventures, has stolen half a million dollars from him and used his credit card without authorization. He alleges that Janice has failed to perform her fiduciary duties. The lawsuit also accuses Andrew and Korp of seizing control of millions of dollars of Aldrin's "space memorabilia" and "space artifacts." Aldrin claims Korp has been taking, without his knowledge, a 5% commission on all the speaking engagements she has booked for him. Aldrin claims all three have slandered him and his legacy by telling people that he has dementia in order to "...gain further control over Plaintiff's personal relationships, business contacts and assets." He says that his children have taken his passport away from him, and undermined his romantic relationships by forbidding him to remarry. Aldrin is thrice divorced. Janice and Andrew deny their father's allegations and have pushed back. Through their lawyer, they issued this statement: "We are deeply disappointed and saddened by the unjustified lawsuit that has been brought against us individually and against the Foundation that we have built together as a family to carry on Dad's legacy for generations to come." Interviewed on Good Morning America about the situation, Aldrin called it "the saddest thing that has ever happened in my family." Watch the interview here. Aldrin was scheduled for another mental health evaluation on June 26 and 27. At this writing, the results are not yet known. Aldrin says he expects to pass with "flying colors" - an appropriate boast from the former air force colonel who flew to the moon and back. Aldrin remains an outspoken advocate for travel to Mars. In June he occupied a front-row seat when the president announced the formation of the Space Force, the sixth official branch of the military. Remember, you don't need to be an astronaut to find yourself the subject of a guardianship. 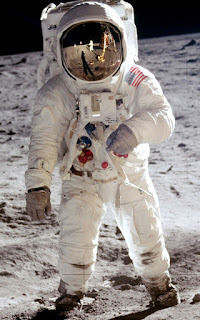 Your best defense doesn't require a visit to the moon - just a consultation with a competent estate planning attorney. 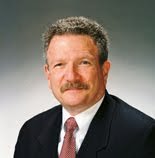 Attorney Joseph S. Karp assists Florida residents and their families with trusts and wills, estate planning, disability planning, long-term care planning for home care and nursing home care, Medicaid and Veterans benefits, planning for special needs children and adults,probate and trust administration, and estate litigation. Recognized as a 2018 Florida "SuperLawyer" and Florida Trend's 2018 "Legal Elite," Mr. Karp is the founder of The Karp Law Firm, with offices in Palm Beach Gardens, Boynton Beach and Port St. Lucie, Florida. He is among the few Florida lawyers certified in Elder Law by both the Florida Bar and the National Elder Law Foundation. He has practiced law in Florida since 1977 and is also admitted to practice in New York. Learn more about the Karp Law Firm team and services at The Karp Law Firm Website. or call us at 800-893-9911.